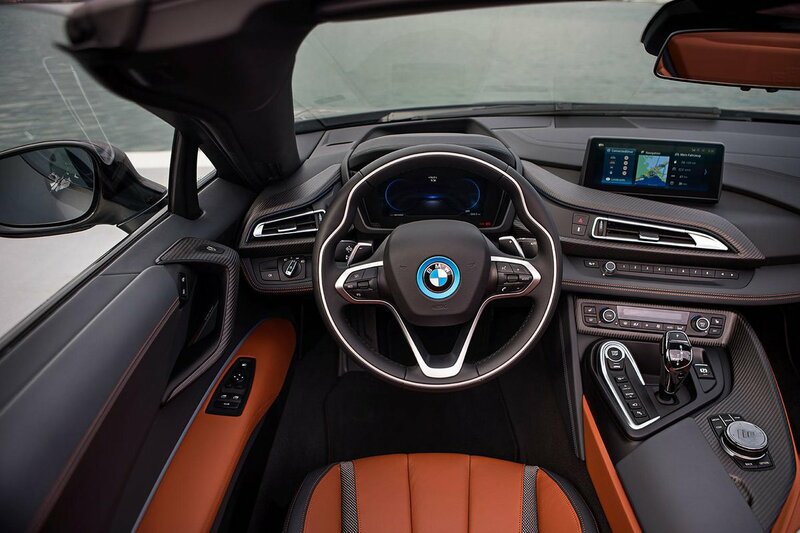 BMW i8 Roadster Interior, Sat Nav, Dashboard | What Car? 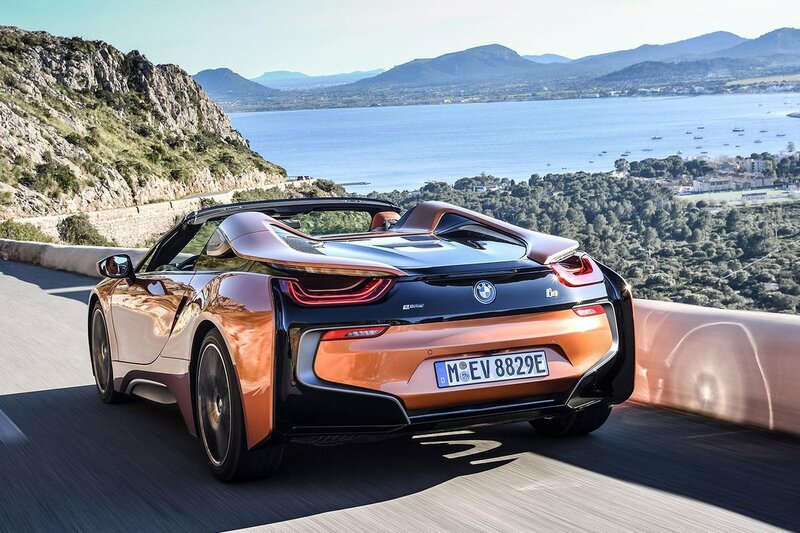 Even with the roof down, it’s nigh-on impossible to get into the i8 Roadster in a dignified manner. With low seats and wide sills, you pretty much have to fall into the driver’s seat. Once you’re inside, things are a little mixed. The swooping interior with chrome accents and a fully digital instrument cluster is a nicely futuristic take on the familiar BMW layout, but – even with lashings of leather – the quality is a slight letdown. Yes, there’s plenty of plush plastic, but you’ll also find switches and materials that could have been lifted from a significantly cheaper 3 Series. At least it’s easy to find a comfortable driving position, thanks to electric front seats and a steering column that adjusts for height and reach, while the rest of the controls are easy to understand and access. A head-up display is standard, helping you to keep your eyes on the road. Infotainment is taken care of by a big 8.8in screen that’s mounted high up and angled towards the driver. You can operate it as a touchscreen or there’s a rotary dial between the seats to make it easy to operate on the move. The only disappointment is that you have to pay extra for Apple CarPlay – that’s very stingy in such a pricey car. 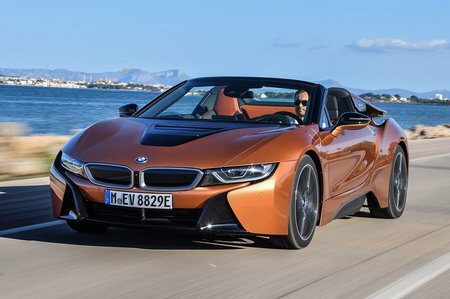 Visibility is good for a low-slung sports car and there’s standard parking sensors front and rear, plus a surround-view camera system for low-speed manoeuvring.